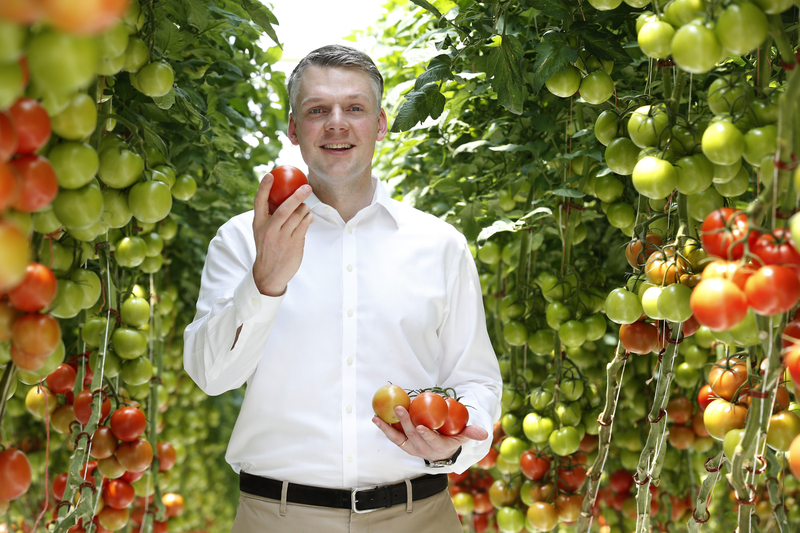 In December 2014, global private equity firm KKR invested $100 million in Sundrop Farms, a UK indoor agriculture company currently growing produce in Australia. At the same time, Sundrop Farms announced a deal to supply tomatoes to Australian supermarket chain Coles. Sundrop’s greenhouse-based technology aims to produce food in arid locations with little access to water, grid energy, or arable land. It uses solar energy and seawater, which it desalinizes on-site. The company, which has nearly completed construction of its first site — a 20-acre facility near Port Augusta in South Australia — is now eyeing expansion to other markets. AgFunderNews caught up with Philipp Saumweber, founder and CEO of Sundrop Farms, and Ken Mehlman, global head of public affairs for KKR, ahead of their speaking slot at Global AgInvesting in New York next week. Philipp, you raised $100 million from KKR in December 2014. How has the business developed since then? Saumweber: We had been working for quite some time behind the scenes up until that 2014 date in terms of lining up all contractual agreements, our offtake agreement with Coles, our EPC agreement, and also from a project finance perspective with local bank debt. Then since the KKR deal closed, we’ve been executing on those contracts and building a large expansion project in Australia that is a custom project to deliver about 17,000 tonnes to Coles for the next 10 years. We have created an almost 200 person, and 20 acre business in 18 months, and simultaneously we’ve been pursuing development opportunities in Australia and abroad. These projects are very much on similar lines as what we’re doing in Australia. Ken, Sundrop is KKR’s first indoor agriculture investment. How did KKR become comfortable with the space and the deal? Mehlman: We have invested a lot in the past into deals that are tackling the challenges regarding resource scarcity, particular water scarcity. We think Sundrop is an amazing example of advancing that thesis. If we look at KKR, we have $5 billion invested in what we call solutions investments; companies designed to achieve the return we’re seeking by solving an important societal problem. Other examples include CITIC EnviroTech, a 2011 investment that attempting to deal with clean water limitations, through water treatment and recycling in China. In 2013, we invested in Santanol, which is one of only two sustainable sandalwood plantations in the world, a product that’s highly sought and often grown in ecologically sensitive areas. We’re building a sustainable plantation to address that problem. So we view our investment in Sundrop as another example of this kind of solutions investment where we’re putting capital to work to solve a problem. Philipp, how far will the $100 million get you? Saumweber: We raised enough capital to get us through the next several projects, so we have ample runway for development, but we may be raising more infrastructure-like capital for individual projects on an as-need basis. Where will these projects be? Saumweber: We are not disclosing the exact locations. We are heavily entrenched in Australia and have great relationships down there, so that’s our priority market, but at the same time, we are looking abroad. We have received a lot of inbound enquiries especially from retailers that have found what we’re doing interesting. We are looking to do customized projects in other markets and some of these discussions have progressed well over the last 18 months so we will be entering new markets soon. Would the retailers ever be investors in Sundrop? How has the relationship between KKR and Sundrop developed and where is KKR adding value to the business? Saumweber: I think the relationship with KKR goes back to the fundraising process. It’s important to note that we saw many different investors. We’re not really pure play agriculture, or pure play renewables, or infrastructure, or water, and so one of the difficulties we had during the process was meeting like-minded partners that could bring skills to bear from different silos and look at the entire picture to assess good risk. I think that was very much shared from beginning between the two organizations. One of the key things for us was making sure that there was more coming into the relationship than just capital and it’s very evident today that KKR’s investment is very strategic. We discuss many matters around development and they have opened doors for us that we wouldn’t have been able to open ourselves. This has been largely around entering new markets. The development game is always a difficult one and there are a bunch of different processes to entering each market around the land, the permitting, the retailer offtake, and local financing. KKR obviously has excellent relationships in all the markets it has investments in, and their relationships extend to pretty much the farthest ends of the globe. There are always one or two areas where we’re not that well versed, and that’s when KKR comes to bear and helps. Mehlman: When we invest in a company, we are looking for one where we can provide capital and other ways to support and help, not just a company we think is a cheap date. We think we can truly help grow businesses and share the vision of the leadership. We can bring our operational expertise and connections with key stakeholders in nations around the world to help Sundrop meet the challenge of water scarcity and climate change. Are there potential synergies with other companies in KKR’s portfolio? Mehlman: Whenever we make an investment we are thinking about other portfolio companies that could have a mutually beneficial relationship with it. Saumweber: We have already met with several portfolio companies and we are chatting with one of them about potentially working together; so those intros happen fast. Mehlman: We wouldn’t want to give any details at this stage, but I do think one of the benefits of having a large portfolio is that there are companies that can help one another and so we look for mutually beneficial opportunities. Moving onto the operational side of the business, Sundrop Farms uses ‘natural pest management’. What does this mean? Saumweber: It’s compared to integrated pest management where good bugs go after bad bugs and are managed in a very active way. We have quite a few different bugs on site and let them go in the greenhouse as needed. Another aspect of natural pest management in the Sundrop system is the way we cool the air with seawater. Because seawater is saline, it has a biocidal effect on the air when it passes through a pad soaked with seawater. This means we are nowhere near the rate of pest infestation in a conventional greenhouse. What nutrients do you use? Saumweber: We use natural nutrients. We use your traditional greenhouse fertilizers from a nutrient perspective, but where a lot of standard growers might go wrong is by not investing in some of the less common nutrients and micronutrients. You get a lot of taste from them in a vegetable so we are very keen on making sure that plants get exactly what they would get in a perfect environment. Urban agriculture has gathered a lot of attention as a means to provide people with a local source of food. Could you ever scale down the Sundrop system to apply it to urban settings? Saumweber: In everything we do and with each new project, there is a triple bottom line mentality: to produce a better product, protect the planet and achieve the best possible price for retailers and consumers. From a profit perspective, this is an economies of scale business, hence urban environments are not ideal for us. However, we can still operate in a way that we can plug into regional or national supply chains to make our farm incredibly efficient from a food miles perspective and overall carbon footprint. Our Australian operation is on a back haulage route for the supermarket and they pick up from us, so if the place is in the right location from a climatic and logistics perspective, it can have a lower carbon footprint than many urban farms. We will always have the offtaker in mind before we set up a new project. We don’t have a marketing department; our customer is determined from the start. Philipp, you mentioned in a Guardian interview a few years ago that you needed a gas-powered backup to prevent vegetables becoming misshapen as supermarkets won’t buy them. There’s currently a bit of a campaign to change this attitude in supermarkets; are you a proponent of this? Saumweber: The reason we have backup grid utilities is because in a 50-acre greenhouse project, at any given time you’re carrying about $50 million to $60 million worth of crop. Having backup grid connectivity is cheaper than any crop insurance. We run primarily on renewable inputs but if for example, you have a clogged seawater intake pipe, while that gets fixed we rely on grid water. Similarly, in periods when we have 10 days of cloud and it’s freezing outside with not enough sun to heat the greenhouse, we revert to backup suppliers. As a large supplier into major retailers, we have to ensure they get their consistency of quality. On the flipside, we’ve worked really closely with retailers to loosen the specifications of our product category. Tomatoes that are not up to that quality will go to the retailer under a different class, such as into a value pack brand. In reality, we have no wastage from our system. I have no problem with ugly fruit and veg, but we’re more on the side of minimizing inputs in food production and whatever comes out we’re passing on so there should be no food waste. Does either of you have anything to add? Saumweber: We’re at the beginning of a really interesting expansion period and we look forward to what the future holds. We’ve got a lot of fascinating inbound enquiries, so were super busy, have hired a great multidisciplinary team and continue to hire passionate people. 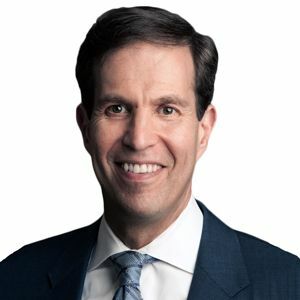 Mehlman: From our perspective this is a wonderful company that’s poised potentially to truly change the world; you can’t say that about every company you invest in. We hope in partnership we can help a company with amazing historic potential.